Prior to the King George meeting at Christmas and Saturday’s Betfair Ascot Chase, Waiting Patiently’s form read 1111111. Seemingly, people have been quick to forget this, and he’s been written off turning up at the 2019 Cheltenham Festival by punters and bookmakers alike. You can currently get Waiting Patiently at 7/1 for the Ryanair Chase behind the likes of Min at 7/2, Monalee 4/1, and Footpad 6/1. What the formbook and market doesn’t tell you, however, is how good a performance Waiting Patiently has put in. Last season, Waiting Patiently was seen dismissing the likes of Cue Card, Top Notch and Frodon. The King George featured stars like Thistlecrack, Native River, Bristol De Mai and of course, the winner Clan Des Obeaux. He unseated Bryan Hughes at Kempton during what looked like a typical Waiting Patiently ride. His style is to be held up in rear and finish with a flourish. A small mistake may have cost him that day, but he was travelling just fine, and anything could have happened. No punter or bookmaker had written him off before the Betfair Ascot Chase. He went off 11/8 favourite. So, let’s treat Cyrname’s win as a fluke. Not that Cyrname is a horse uncapable of winning more races – he surely will. But, as AP McCoy repeatedly mentioned in his autobiography, if you think you’ve got the fittest horse on the day, you ride him prominent – not hold him up. Harry Cobden mugged the entire field by gambling his horse was the fittest on the day and was duly rewarded. Ruth Jefferson, who lost the much loved Malcolm just over a fortnight ago, has a seriously classy horse in Waiting Patiently. This is some performance, good old Cue Card second too! There’s a point to be noted that Harry Cobden is the only jockey to have beaten Waiting Patiently since he was competing in Novice Hurdle company. An undoubted star in the making and future champion jockey, but perhaps a tad fortunate to have beaten Waiting Patiently twice in a row. Crane your neck back to the rest of the field and you will see Waiting Patiently getting the better of everyone else. Fox Norton and Politologue are horses rated 166 and 168 respectively. This wasn’t a Tuesday evening at Plumpton. This was the Betfair Ascot Chase. 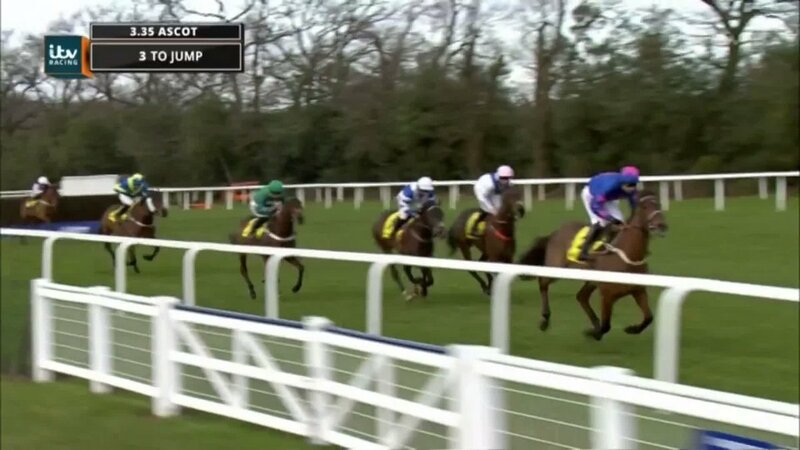 Trainer, Ruth Jefferson, told Racing TV after Saturday’s second to Cyrname that we will only see Waiting Patiently if we get soft ground at Cheltenham. It would be a real shame to miss out on one of the current greats if we don’t get a sprinkle of rain. Waiting Patiently’s wins have all come on soft or good to soft ground so unless it’s bone dry, we hopefully don’t have to worry about that scenario. To be mugged by a great ride by a top jockey is forgivable. As should be making a mistake and unseating your rider – once, anyway. Perhaps the drift to 7/1 in the Ryanair is correct? That puts him alongside rivals Frodon and Top Notch – who he’s dispatched before – and only just ahead of Fox Norton – who he beat on Saturday. It’s unclear whether Waiting Patiently will even run at Cheltenham at the moment so backing him ante-post is definitely not advised. However, if he does literally turn up then fully expect him to properly turn up.